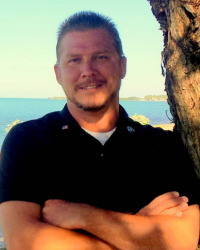 Derrick Johnson is a REALTOR in Marathon "The Heart of the Florida Keys". I served in the U.S. Navy and now help you with all your property needs. My slogan “Your Veteran in Real Estate” means that it’s an honor to assist you with your Real Estate needs. I can help you achieve your goals in a professional manner with the attention to detail to get the job done!